For many years tourists have bought their flights online rather than going to a travel agency. But despite the experience, there is still the fear of giving the button to buy and then find the same flight cheaper at another date or with another airline. Here are eight tips to minimize that possibility in this holiday season. If you have flexibility, to get a general idea of prices and dates, you should visit pages that compare rates, such as Skyscanner, Momondo, Kayak or Farecompare. It is useful to consult several sites, as these companies have deals with different airlines and not all include the same options. Some pages, for example, do not include low-cost airlines. As well as being able to filter your search and results at your own convenience, here you can find some very useful tools to find the best rates, for example an option in Farecompare and Skyscanner allows you to enable alerting rates when prices fall on a particular route. When you do a search on Momondo you can obtain useful information about a route. For example, doing a simple search of flights from London to Mexico and by consulting that option you will be able to find the average prices of the rates in general and by airline, which day of the week is cheaper to travel and in which weeks of the year there are cheaper rates. You may have already guessed it but it is a fact: traveling during the week or Saturday is cheaper. Friday and Sunday are the usual days for business travelers and for tourists who want to take advantage of the weekend, so if you are looking for flights on Tuesday or Wednesday you have more chances of finding a good deal. 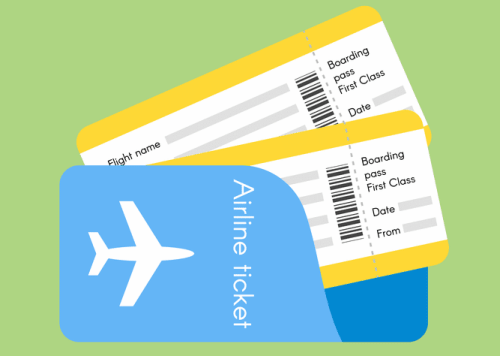 According to a report by Airlines Reporting Corporation, published in November 2014, the best day to buy a plane ticket is Tuesday. This day is also suggested by several bloggers and travel commentators. The explanations vary, but generally they refer to the approximate time when airlines bid to improve flight occupancy. On the other hand, and especially in the case of low-cost airlines, rates may vary during the same day. It is difficult to predict when prices will be lowered, but monitoring them for several days and at different times can take a calculated risk. Is it worth waiting for a last minute offer? Years ago this myth existed, but the general response of the industry today is that it is not. Several studies point to an ideal anticipation around 60 days for international flights. On the other hand, they agree that the cost of going up during the two weeks prior to the flight and that the day before is the most expensive. Only in the case of the vacation packages, some people suggest that it is worth seeing if there are last minute deals, since they tend to be cancellations or places in charter flights that remained vacant. There are reports that some airlines use ‘cookie’ information to monitor your navigation and raise flight prices if they know you are interested. That would explain why sometimes, when returns to the half hour to buy a ticket, one finds that it is more expensive. On the other hand, the prices of the same routes varied exorbitantly depending on the country from which they entered into the website. There are several possible strategies to overcome both options: one option is to delete the cookies before paying for the flight or to use another browser or a computer for the purchase. The other trick suggested is to change on the web page your place or country from which you gain access and the language. If you cannot find the offer you are looking for and it is a long-haul destination, you can test your creativity by searching for flights to secondary airports or adding a stopover. If you are a regular traveler you can enjoy special offers if you join a points program. Some airlines also offer credit cards of their own, with which you earn airline miles based on your purchases. If you use them to pay for your personal expenses, such as general purchases or movies, you can accumulate points even if you do not travel very often. Accepting receiving offers via email can be a bit uncomfortable, but it will allow you to know the timely offers that an airline launches.